Foster wellness by tapping into your creative side with painting, creative storytelling, fiber arts, yoga and more. When it’s not yet an emergency but you know you need to talk to someone, we’re here to help. No appointment necessary. Information and help finding services through workshops, referrals, personalized support and informative guides. Workshops & support groups to help your family cope with raising an emotionally and/or behaviorally challenged child. The road to recovery can be bumpy. Our workshops give you the tools to successfully navigate your own path to wellness. From counseling to support groups to workshops, we help you learn the skills you need to find—and keep—employment. 1-to-1 support to help you with life's basic needs—clothing, landlords, and more—from someone who's been where you are. Regardless of race, religion or age, one in two people will experience mental illness in their lifetime. 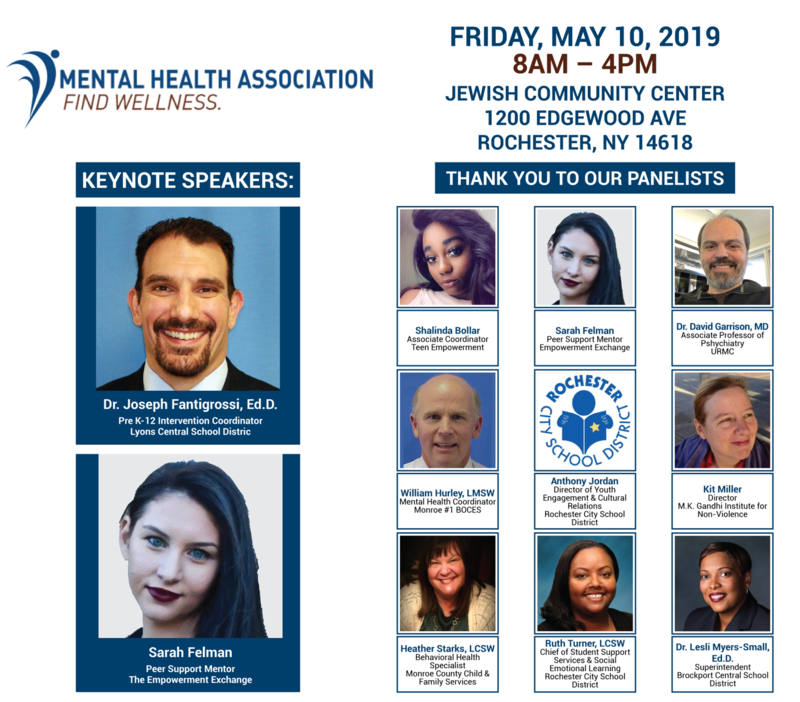 The Mental Health Association promotes lasting mental wellness in our community through a diverse spectrum of educational programming, service referrals, and individual assistance to those seeking to find—and maintain—wellness. Our services are available to everyone who needs them: no referral, diagnosis, or insurance necessary. Show your support today. Click here to make a donation.